Visitors experience the fascination of Africa on a safari. Endless wilderness, fascinating nature, moments of complete silence - then, all of a sudden, a herd of elephants or a hyenas appear. Pictures that you will not forget. Corresponding, we offer beautiful, charming lodges, oasis' in the middle of the wilderness, that perfectly combine luxury and nature. Whether you discover the nature in an open jeep, hike through the bush, explore the nature by mountain bike or view animals from a canoe or from your terrace - each region and each nature reserve offers something special and has its own attraction. Every journey and every safari is unique, the landscape and the African wildlife always surprise with something new and unexpected. That's why a perfect organisation is essential. We recommend to combine a safari with a stay in a luxury beach hotel with spa. 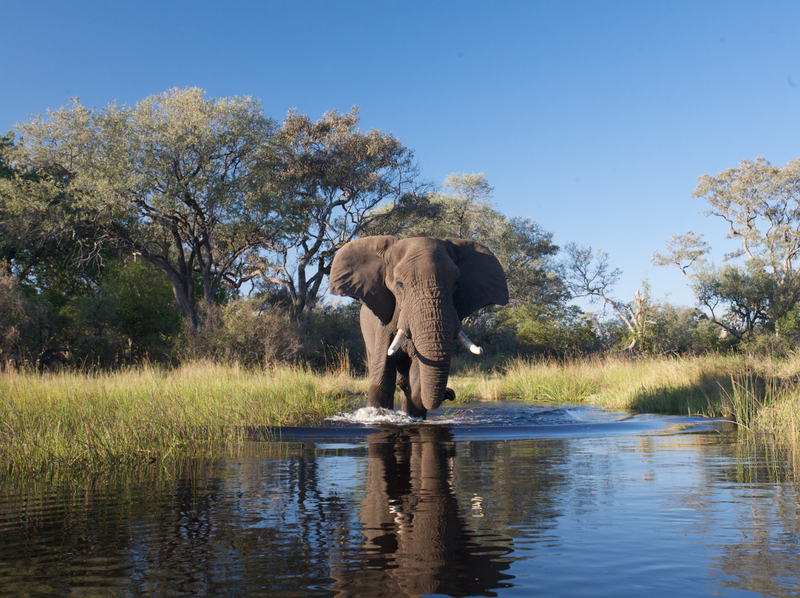 Depending on how much time you have, we arrange your customised Africa experience. We are happy to help you! Please give us a call under +49 (0)89 83 30 84 or by mail info@domizile.de for a detailled quote. Kindly send us your TRAVEL INQUIRY. Experience the impressive diversity of South Africa - a world in one country, fascinating animals and natural beauty, numerous national parks with lush flora and fauna as well as kilometre-long coastlines. Cape Town has a very special atmosphere. 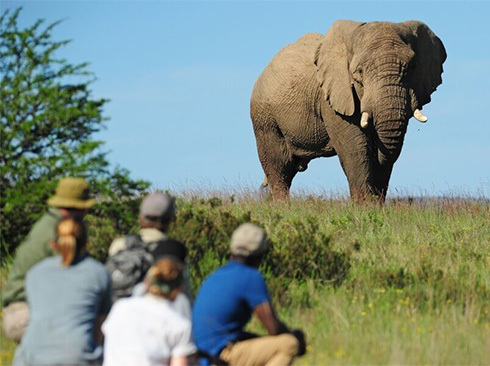 The combination of visiting some of the famous wineries, driving along the famous Garden Route, seeing the "Big Five" (lion, rhino, elephant, buffalo, leopard) on a safari, followed by whales, sharks, penguins, meerkats, wild dogs etc. is the ideal tour for beginners to get to know South Africa.
. Gansbaai "dive with the white sharks"
Experience South Africa in a very private way - with your private rental car or with a car with driver-guide. 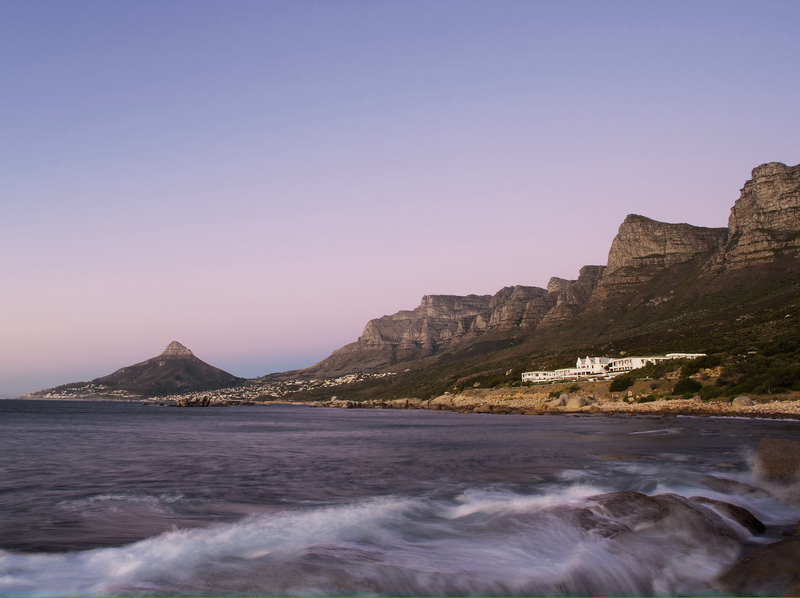 Stroll through Cape Town and along the Victoria + Waterfront with its shops and restaurants, enjoy a stay in the famous wine region and visit some famous wineries or smaller "insider tips". Travel along the famous Garden Route with its natural beauties and combine your visit in South Africa with a safari holiday in one of the many national parks. We know the most beautiful spots in South Africa and arrange your trip according to your wishes. South Africa offers a world in one country. Here, you can discover new highlights and experiences each single day. Alternativate, you have the chance to simply enjoy gourmet- and leisure-days. The more active guests will also be very happy: hiking, mountain biking, various outdoor sports and golfing are offered in great variety. South Africa - a world in a country: numerous national parks with lush flora and fauna, magnificent landscapes, endless coastlines, diversity of cultures with own music, customs and kitchen, sports and large range of activities up to premium wines and gourmet-dishes. The team of DOMIZILE REISEN - FINE RENTALS organizes each tour individually according to your personal wishes. We revert to a large selection of accommodations; we offer typical guest houses, detached luxury villas, secluded lodges in the bush, bungalows in Cape dutch style and design hotels. For beginners as well as for experienced travellers - we know South Africa and arrange your perfect journey! 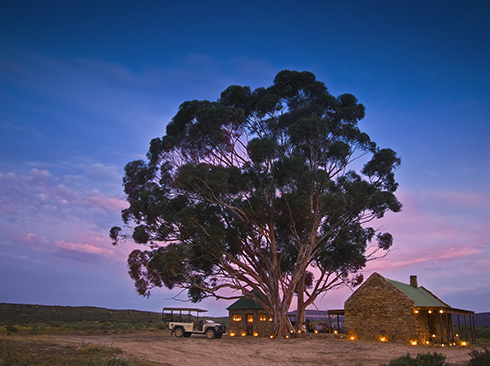 Malaria-free Bushmans Kloof Wilderness Reserve and Wellness Retreat is nestled in the unparalleled panorama of the Cederberg Mountains, only three hours north of Cape Town. It is home to many plant species and wildlife, antelopes, African ostriches, one of the Cape's largest herd of zebras, African wildcats, Cape clawless otters, baboons, a unique birdlife and much more. Particularly impressive at Bushmans Kloof Wilderness Reserve are the broad and open plains, gorges, waterfalls, ancient sandstone formations and over 130 sites of bush art paintings, some dating back as far as 10,000 years. Bushmans Kloof is a predator free area, ensuring guests are safe to explore the wildlife on their own. Guest can discover the magnificent landscape by mountain bike or on foot, take part in a bush-hike, enjoy a canoe tour, go for a swim in Olifant River or join a game drive - unforgettable experiences. 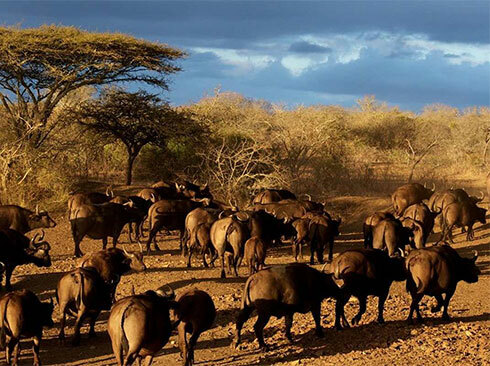 Malaria-free Madikwe Game Reserve is nestled in magnificent landscape on the banks of Marico river in the North West Province, bordering Botswana. With a total surface of 75,000 hectares, it's one of South Africa's biggest national parks and one of the country's top wildlife destinations offering the chance to see a variety of birds and an innumerable range of fish and game including Africa's "Big Five": Elephants, rhinos, lions, leopards and African buffalos. The Safari-Lodge Morokuru Family Resort is located within the Game Reserve and comprises of three private, luxury villas with personal and complete service. With a personal experienced guide, guests enter the beauty and fascination of Madikwe. Join a game drive, a bush walk, a fishing safari or one of the other, thrilling activities - all at flexible time according to your wishes. This luxury lodges are the ideal for guests, wanting to combine an exclusive, individual safari experience with highest comfort and first class service. 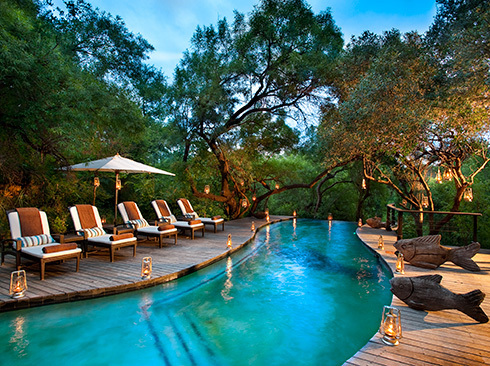 Sabi Sands Game Reserve is a 65,000 hectares reserve, adjacent to Krueger National Park. 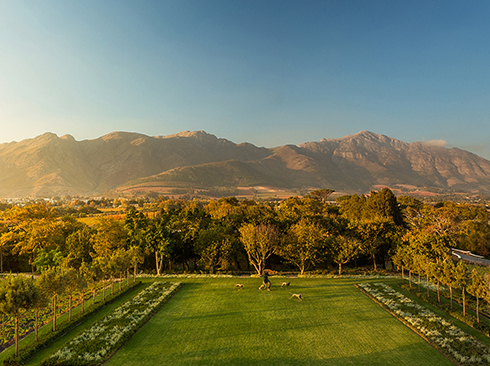 It is one of the oldest and most exclusive private wildlife reserves in South Africa. 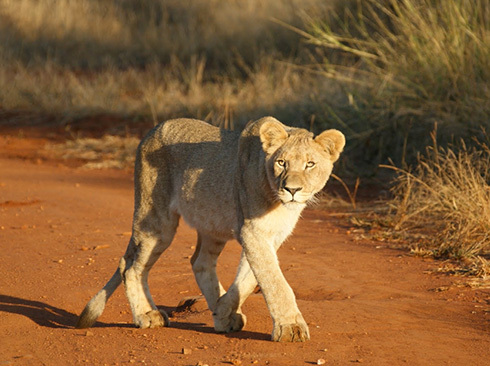 There are no fences between Krueger National Park and Sabi Sands Game Reserve, so wildlife roams freely in huge natural environment between both parks. Sabi Sands offers a safari experience found nowhere else; it is famous for its vegetation and its game viewing possibilities, which are simply unparalleled including the Big Five. Sabis Sands is in particular well known for its amazing leopard sightings. The most exclusive of the Big 5 is frequently spotted when going on a game drive. Unlike Krueger National Park, safari jeeps in Sabi Sands are allowed to drive off-piste as well as at night. There are several private safari lodges in Sabi Sand National Park, offering exceptional safari experiences. From Ulusaba Rock Lodge and Ulusaba Safari Lodge, guests can even spot wildlife from the window of their bedroom.